This is a comprehensive selection of not only Guide Pole kits, but associated parts related to replacing and installing individual components. 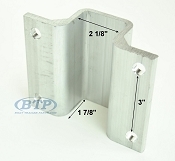 We have complete kits, with Guide Poles, PVC, and mounting hardware, and we have Guide Post and pole kits that do not include the hardware, allowing for custom selection depending upon what your requests and frame dimensions are. 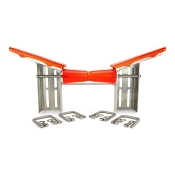 There are also side guide sets for side assisting to get your boat straight on your trailer. 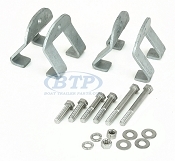 The intention of these items is to aid in guiding your boat off and on the trailer. We know how tough it can be with current and wind working against you. 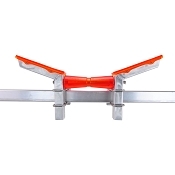 Having a sturdy and properly installed Guide set up can drastically increase your efficiency at the boat ramp. 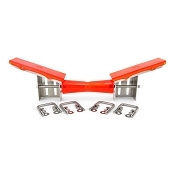 They will also safely keep your boat in the center of the travel, avoiding impact with your fenders, or the dock itself. 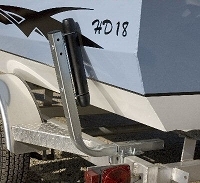 Adjustable Height when mounting Boards between 24" to 36"
Installed PVC Brings the Height up to 60"
There are a variety of ways these assemblies mount and many variations of boat trailers on the market. 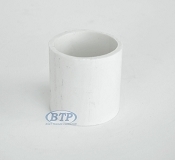 The best advice would be to know the material your frame is made of, Square Tubing, C Channel, or I-Beam, and also know the dimension of your frame. 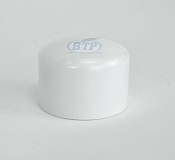 This will help in getting the correct mounting hardware to ensure a proper fit the first time.